For anyone who’s constantly frustrated by strapless bras that just won't stay put, science may now have the solution. Start-up Kellie K Apparel's innovative undergarment design uses the same principles as a gecko’s foot to comfortably cling to the wearer’s body. Robotics engineer Anthony Roy invented the high-tech brassiere after listening to his wife, Kellie, talk about the hassle of going out in a strapless bra. “There was this certain top that she wanted to wear, but (she) didn’t want to wear the strapless bra that went along with it,” Roy explains in Kellie K’s Kickstarter video. When he suggested that she buy a new one, she told him that it wouldn't matter because strapless bras never work. After hearing this, Roy set out to create a better bra for his wife and for women everywhere by taking some cues from the animal kingdom. 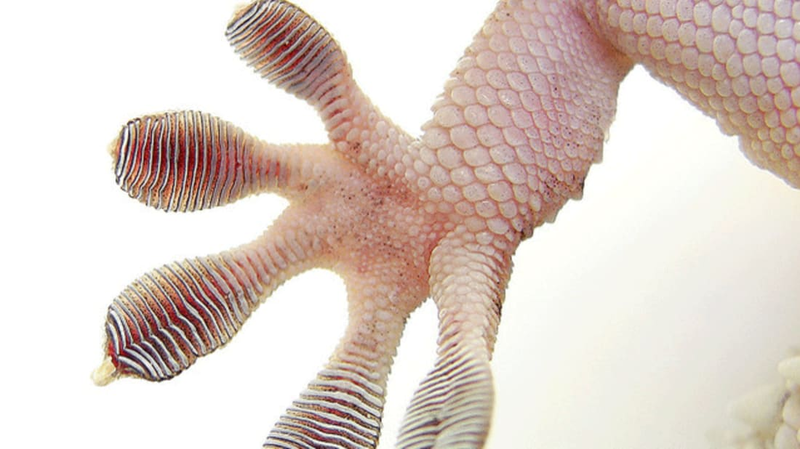 The bottom of a gecko’s foot is covered with billions of tiny hair-like structures that allow it to cling to almost any surface. The foot hairs are so minuscule that they’re able to utilize the forces created between molecules called van der Waals forces. While they're not very strong individually, the maximized surface area of a gecko’s foot is able to make the most of these weak forces. Roy’s patent-pending “GeckTeck” lining is able to keep the bra in place using this same mechanism. The stickiness can be compared to static cling, and the bra is able to come off pain-free without leaving behind any residue. Over the past few years, the start-up has sold hundreds of prototypes without getting a single one returned for poor performance, according to the company. This week, Kellie K was able to successfully meet their $26,250 Kickstarter goal to fund the second phase of their project. Backers can expect to receive their sticky strapless bras by April of next year. If you'd like to learn more about the science behind the bra, check out the video below.